Volkswagen Touran Running Costs, MPG, Economy, Reliability, Safety | What Car? Going by its list price alone, the Touran is more expensive to buy than a Citroën Grand C4 Spacetourer and is priced roughly in line with the Ford S-Max. 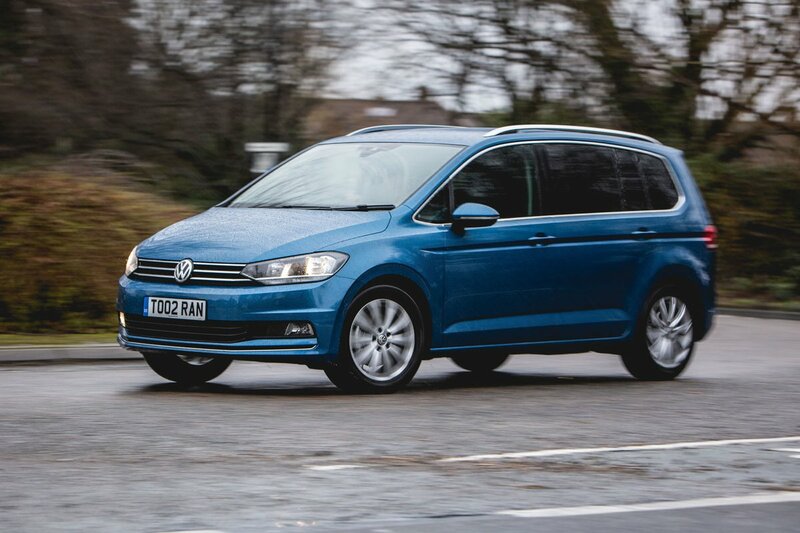 However, don’t let that sway you, because the Touran is available with some huge discounts and, more importantly, Volkswagen’s finance deals are keen enough that monthly costs are very competitive. Low insurance costs and relatively good resale values promise to go a long way towards making up for that. All the engines provide decent economy – even the petrols. The 1.6 TDI with a manual gearbox averaged an impressive 50.9mpg in our real-world True MPG tests. Entry-level S trim is the one to avoid, it’s very basic and doesn’t even have alloy wheels. SE is much better equipped. 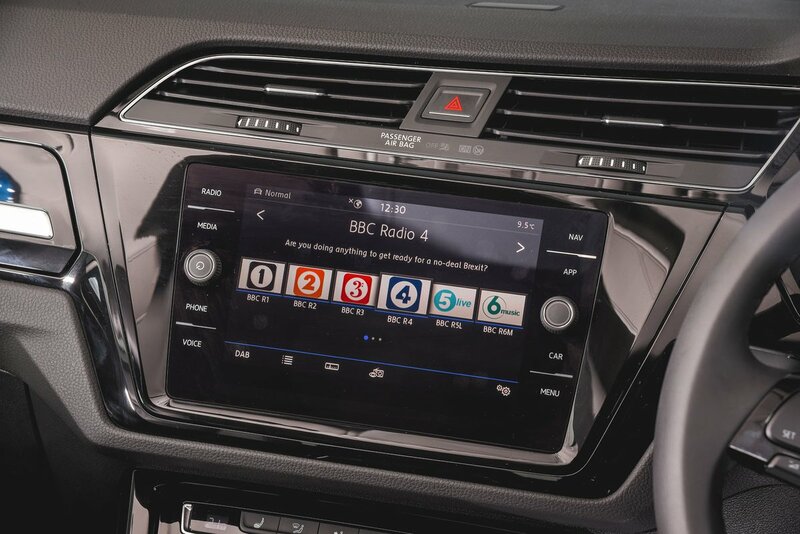 It has automatic lights and wipers, a multi-function steering wheel, 16in alloy wheels, all-round electric windows and adaptive cruise control. There are also a number of very reasonably priced options. Go for SE Family and you'll get a panoramic sunroof, blinds on the rear windows, remotely activated rear-door child locks and a voice amplification function for the driver – it uses the microphone system in the front to project the driver’s voice through the rear speakers, so the driver doesn’t have to shout to be heard by people in the rearmost seats. It’s a good trim level if you want lots of kit but we think the cheaper SE will suffice for most. SEL is even more lavishly equipped and comes with chrome exterior highlights and bigger alloys. It's your cheapest option if you want the 2.0 TDI engine or the 1.5 TSI, but is still a little pricey for us. R-line is even less recommendable; you pay a lot of money over the SEL for mainly sportier looks. Volkswagen has an average reputation when it comes to reliability and came 17th out of 31 brands in the 2018 What Car? Reliability Survey, finishing ahead of both Citroen and Ford. Volkswagen provides a three-year, 60,000-mile warranty which can be extended to four or five years. A fixed-price service plan is also available and a year's UK and European roadside assistance is standard. 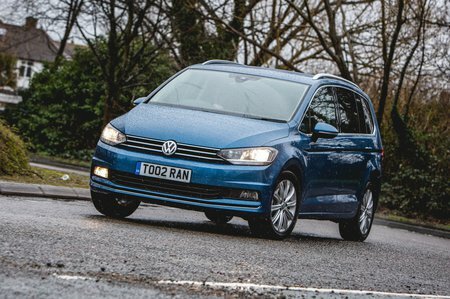 Euro NCAP awarded the Touran its maximum five-star safety rating; a close look at its individual category scores show that it even bettered the Ford S-Max. It gets seven standard airbags, including a driver’s knee airbag, while you can add rear side airbags for a reasonable price. All models except S have a Front Assist system which includes Automatic Emergency Braking (AEB) and a sensor that triggers a warning if you get too close to the car in front. There's also adaptive cruise control which will maintain a speed to match that of traffic you're following. It doesn't cost much to add Front Assist if the S trim level is the one you want. Child locks are standard across the range, but remotely controlled window and door locks for the rear doors are standard on SE Family and up, and a reasonably priced option on SE. Lane assist and blindspot monitoring are optional on all trims, apart from entry-level S, and it's also only that entry trim that misses out on a standard alarm.